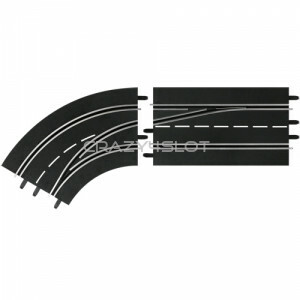 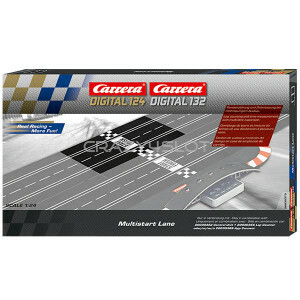 Digital track extension set for Carrera Digital 132 and 124. 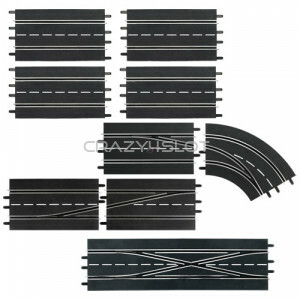 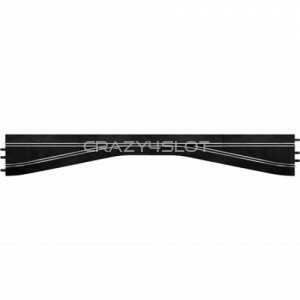 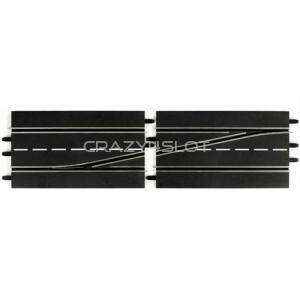 The pack includes: 4 Stand..
Carrera Left Lane Change Section, total length of 2 standard straights, 69 cm - 27.16" Can ..
Carrera Right Lane Change Section, total length of 2 standard straights, 69 cm - 27.16" Can..
Carrera Double Lane Change Section, total length of 2 standard straights, 69 cm - 27.16" Ca..
Carrera Left Chicane, total length of 4 standard straights, 138 cm. 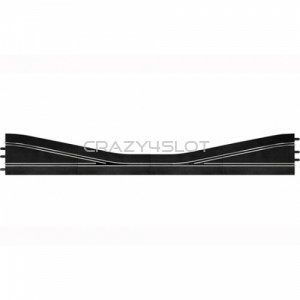 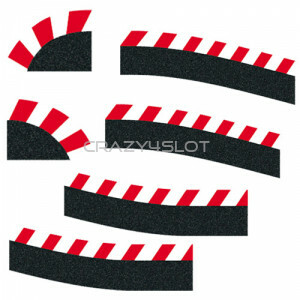 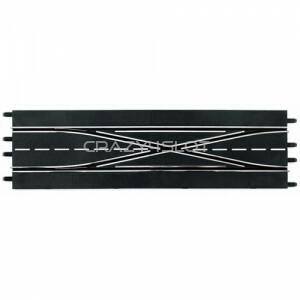 Can be used with Carrer..
Carrera Right Chicane, total length of 4 standard straights, 138 cm. 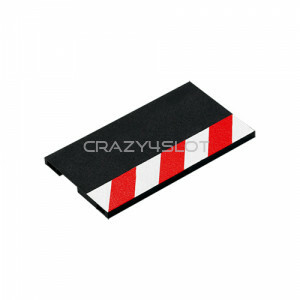 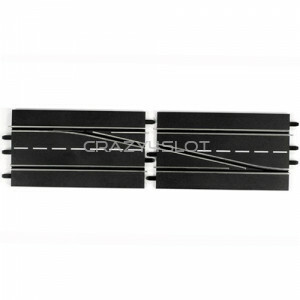 Can be used with Carre..
Carrera Pit Stop Extension Track Section, length of 34.5 cm like a standard straight. Compa..
Carrera Left Lane Change Curve In to Out. Pack includes: - 1 Standard straight with lane ch..
Carrera Left Lane Change Curve Out to In. 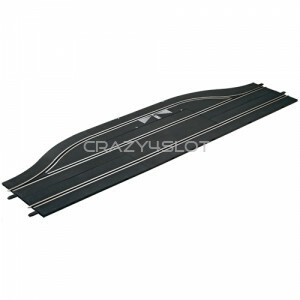 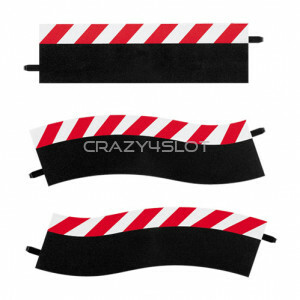 Pack includes: - 1 Standard straight with lane ch..
Carrera Right Lane Change Curve In to Out. 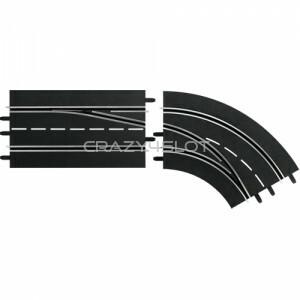 Pack includes: - 1 Standard straight with lane c..
Carrera Right Lane Change Curve Out to In. 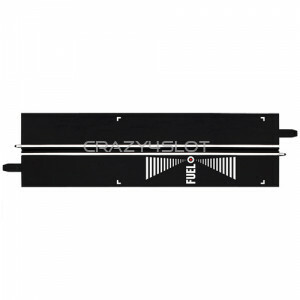 Pack includes: - 1 Standard straight with lane c..
Carrera Pit Lane, with refuelling function, but displaying of the tank fuel capacity is only po..
Carrera Adapter Unit, length of 34.5 cm like a standard straight. 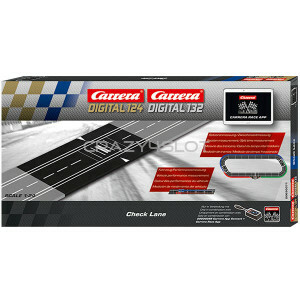 The following digital acces..
Carrera Digital Check Lane, for segment and split time measurement.Split Time MeasurementThe Carrer..
Carrera Digital Multi Start Lane.Thanks to this extension every Digital 132 and 124 racetrack can b..
Carrera Pit Stop Adapter Unit, used to retrofit the Pit Stop Lane (30346) for operating the Dri..
Carrera Outside Borders for Pit Lane, pack includes all 5 outside borders for the Pit Stop Lane..
Carrera Outside Borders for Chicane, pack includes all 6 outside borders for the Left (303..
Carrera Border Connecting Section. 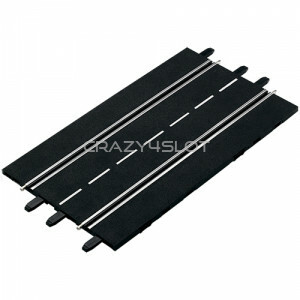 Use to connect the Position Tower while using borders eq..
Carrera Border Complement, length of 17.25 cm like half a standard straight. 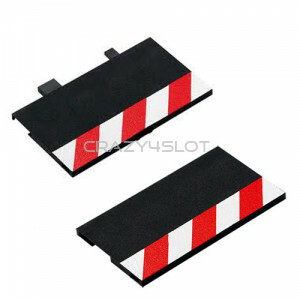 Be closer to rea..